A huge thank you to everyone who came out to the show at this past weekend’s Sweden Rock Festival – we had a great time! Thanks also to the organizers of the festival, in particular Johannes Lindström and Martin Forssman, the film crew and our road crew Kenny Nilsson (lights), Gustav Kronfelt (guitar tech), Per Wikström (tour manager & percussion). Here’s a taster of what the film crew shot: Goddamn Man! The first time you could hear and see Backdraft with three guitarists. Stay tuned for news about the dvd we are planning to put together of this very special show. And also the biggest thank you goes out to our guitarist Robert “Rabbi Rob” Johansson for all these years of guitar genius-ness and good times! For those who missed to pick up merchandise at the festival – you can order the vinyl/cd (180 gram, gatefold with Blue Sky as a bonus track) from the GMR Music online store. 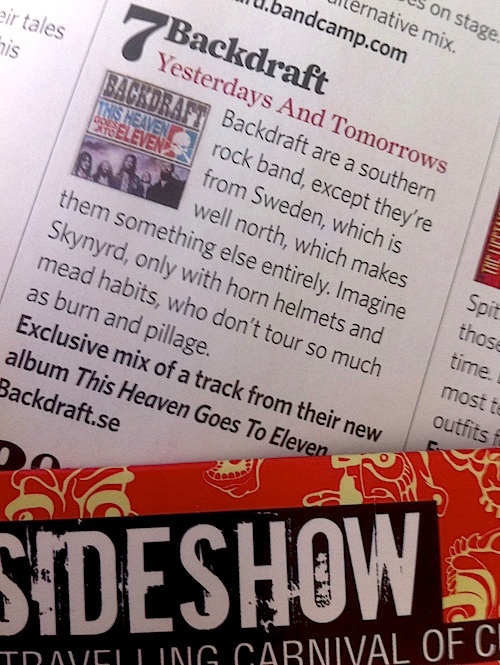 Sweden Rock Festival 2013, in less than one week from now, will be Backdraft guitarist and founding member Robert’s last show with the band. Robert actually stepped down a year and a half ago and the other band members have since – as you may have noticed – focused on their other bands. Robert would now like to make this official before his final show, at Sweden Rock Festival. The rest of the band wish Robert all the best in the future, and we thank him for all these years, the music and experiences we’ve shared together. 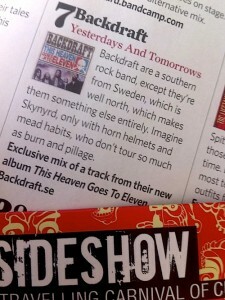 We are happy to be able to close this chapter of the Backdraft story in such a grand style, at Sweden Rock Festival, where we played our first big show back in 2001. We’re also excited to have Snejken joining Robert and Jon on stage for a one time only triple guitar attack. This is obviously the only opportunity to see this live. However, we are filming and recording the show for a possible dvd or other type of release. If you can join us at Sweden Rock, make sure your voice goes to eleven to help us share this special moment. Exclusive Sweden Rock Festival Show! By Mats. Posted in Gigs, News | Comments Off on Exclusive Sweden Rock Festival Show! 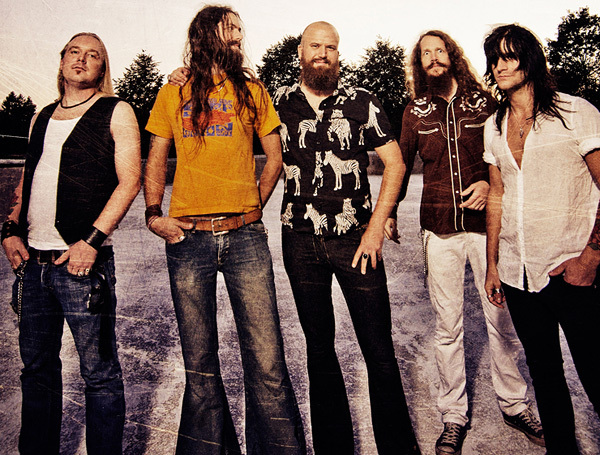 There are still some 3 day tickets left, so visit www.swedenrock.com to secure yours right away. Stay tuned for further news and announcements, and make sure you tune in to www.facebook.com/backdraftse for all the latest, quick, up-to-date news and reports. 20 minute Backdraft video report from Serie Z 2011! By Mats. Posted in Gigs, News | Comments Off on 20 minute Backdraft video report from Serie Z 2011! Here’s a little something for all of you who haven’t been able to catch the band in a while: an interview (eh, better let the music do the talkin’, right?!) with a bunch of live footage from the Serie Z Festival show, from Jerez in Spain in October. Featuring both new and old songs, and y’all gotta have to sing along for Out Of Here, where drummer Niklas’ mic was apparently inaudible. Many thanks from Five Idiots Abroad to all of you who came to this show! Yesterdays & Tomorrows video out now! By Mats. Posted in News | Comments Off on Yesterdays & Tomorrows video out now! A new video has been pieced together of footage from these past two years on the road, in the studio and out an’ about. Please make enjoy! 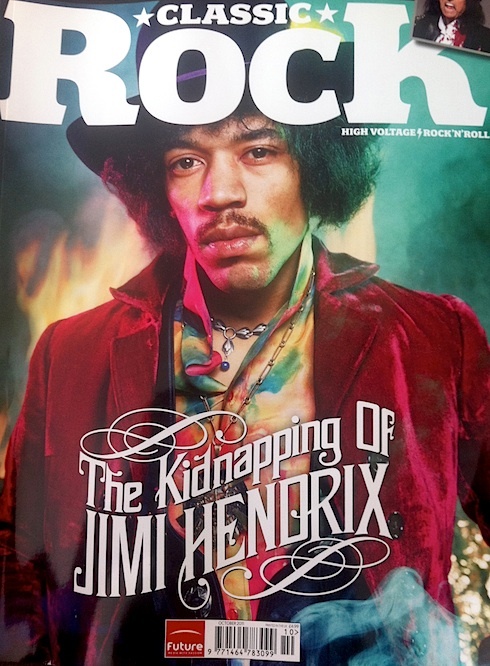 Yesterdays & Tomorrows was also featured in the last issue of Classic Rock Magazine, here’s the cover and short piece about it. Burnin’ and pillagin’!